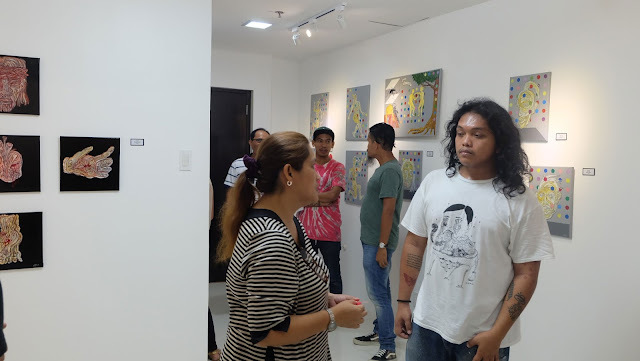 A new gallery space recently opened in Cebu, tucked away in the industrial area of the metro this small space is offering a nurturing and supportive experience for the artists that would like to exhibit. 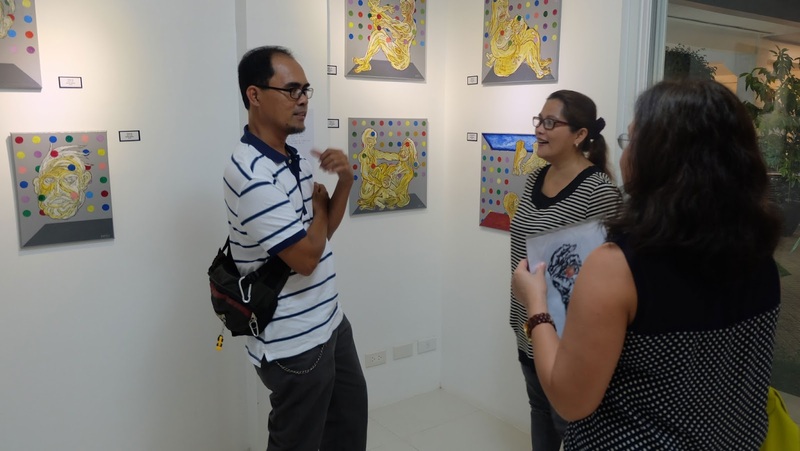 According to Bisai, founder of Contempo Art Gallery "For myself naman what I can say is that, Contempo Art Gallery is an artist-run space our goal is not only to establish ourselves as a new home for contemporary modern art but to also assist Cebu based artists and those from visayas and Mindanao. And also act as a venue to exhibit and expose their art pieces for the rest of the country and the world to see and to know they exist. 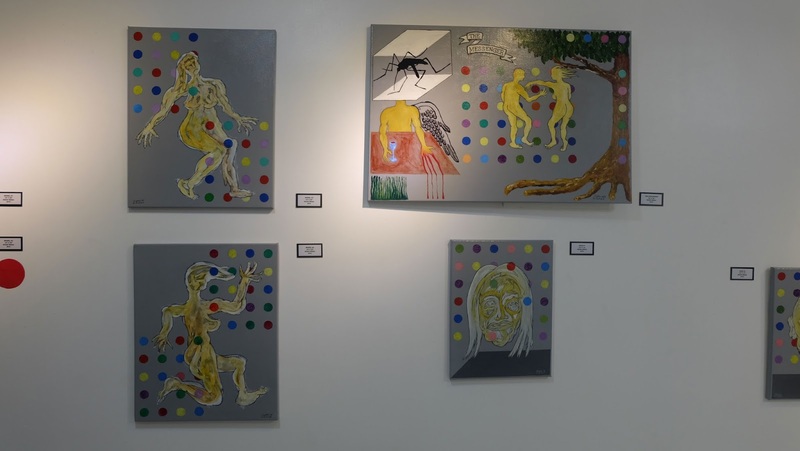 We are here to support emerging talents to get noticed in the art scene"
Last March 15, 2016 was the gallery's first local solo exhibition and Jeffrey Sisican's sixth. 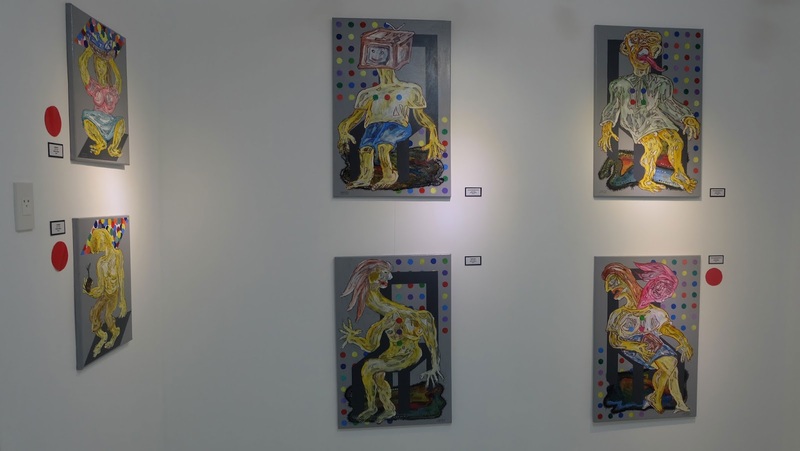 Jeffrey is a Bohol based artist who graduated from the University of the Philippines Cebu. 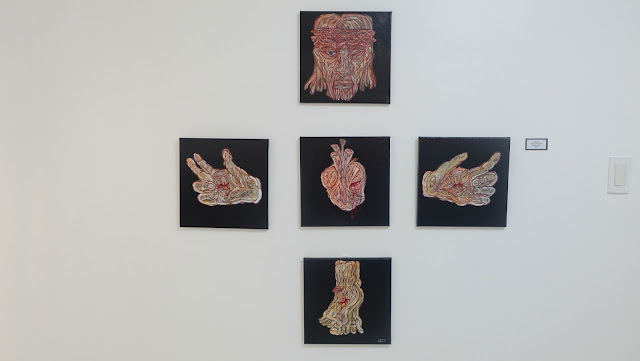 His exhibition entitled Humanoids explores the physical and internal mutation of the human form. A mixture of printing techniques, graphite, and acrylic depict crumpled and deformed looking humanesque creatures. 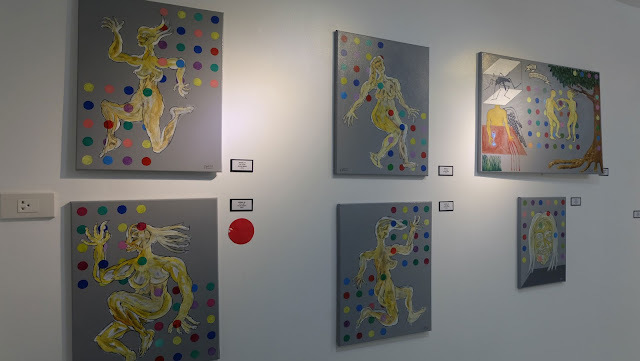 You can catch Jeffrey Sisican's Humanoid's until March 31st. Contempo Gallery is located at Hernan Cortes St., Mandaue City inside the Bamboo Bay Community Condominiums, you can find it at the lobby level Tower 1. You can expect more shows from this small gallery with a big heart.